We’ve seen before many times that the devil is in the details with the pre-merger AMG modified cars. Like Faberge eggs, they can look the part without actually being a real AMG modified car; but unlike the Faberge art the details of all of the early cars is not particularly well known or documented. 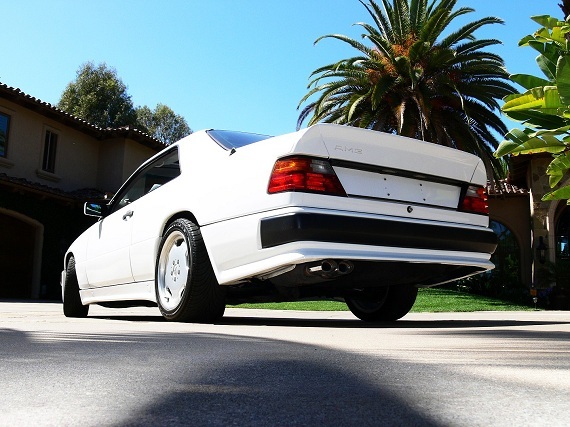 So here is a fairly desirable, very clean W124 300CE – already a sought after car, especially with lower miles. 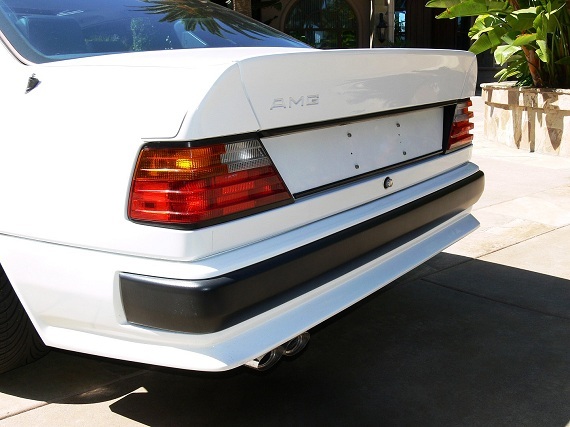 Tack on the awesome looking AMG bits and you have one really great looking, desirable package. Despite this, it’s not likely authentic. There’s a line that it was factory equipped with the AMG body kit and sport suspension, and indeed if you scroll through the pictures there are the AMG-spec springs. Outside the AMG-spec body kit is one of the best looking available and really sharpens the lines of the W124 into a more aggressive stance. But is it a real AMG? 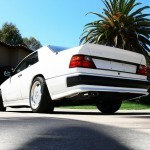 Up for sale is my 1989 Mercedes 300CE. 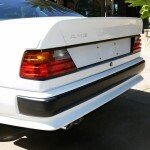 This car was factory equipment from AMG with the body flaring kit and sport suspension. 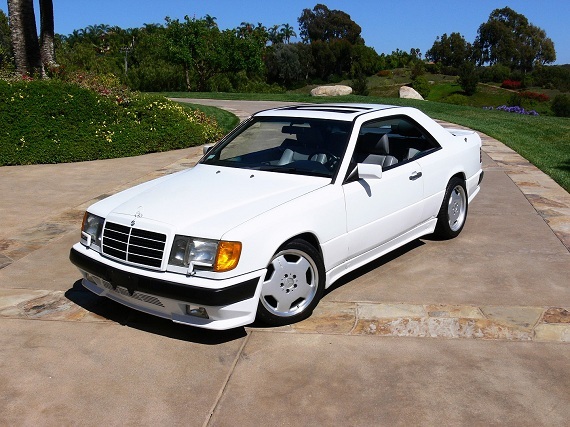 If you know Mercedes, you’ll know this is a very rare example that will skyrocket in value over the next few years. The car is verified by CarFax with only 44,000 original miles. The vehicle is a collector grade automobile that can be driven or shown. The car has it’s factory white paint which is excellent condition. There is a small ding in the driver side door that can be easily removed via paintless dent removal service. There are small rock chips which have been touched up but there are no serious dents, scratches or flaws ANYWHERE on the car. 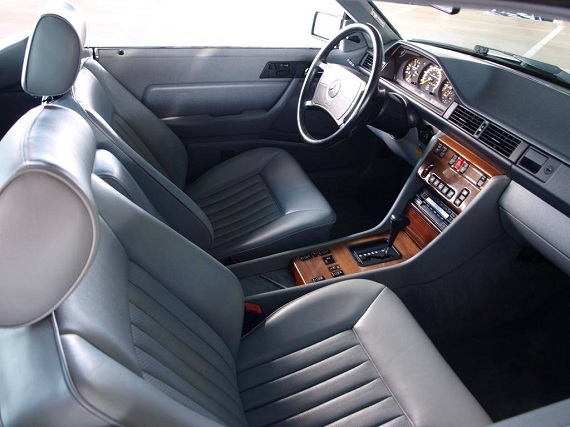 The interior is 10 of out 10, which ABSOLUTELY no wear anywhere on the leather. The car looks and drives like a brand new Mercedes. The wheels are upgraded AMG Monoblock wheels with very little rash on two of the wheels. The tires are new and suite the stance of the wheels very nicely. 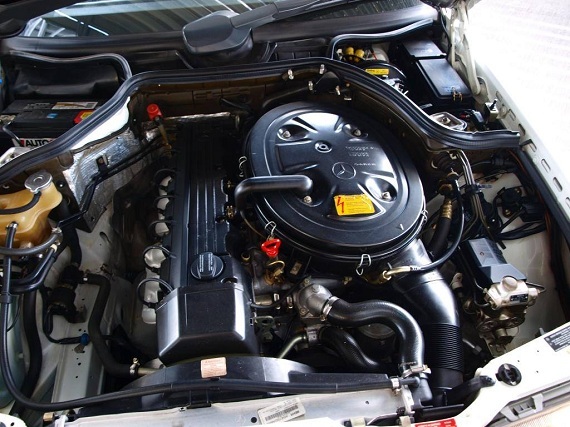 The engine drives well and is very responsive. I would recommend a tune up to replace spark and fuel related items to bring the car back to its full glory. 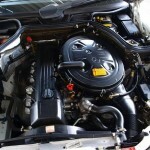 The car has extensive service records and has been maintained only with factory OEM parts. Everything on the car works and functions 100% with the exception of the factory stereo. It has been wired to work correctly however the radio only clicks when turned on. You can buy a replacement Becker BE 078 on Ebay for $50-100 or send this one for service at Becker. Other than that EVERYTHING on the car electrically works. The car is a clear title vehicle and I have the title paperwork in-hand. $500 deposit required at auction end through PayPal. Buyer is responsible for shipping. Full balance to be paid via wire transfer or cashier check before shipment of vehicle. No, it’s not from what I can tell. The parts are factory parts but there is no other documentation to show that the AMG bits were installed by an approved AMG source rather than purchased and installed after. Without that documentation, it’s hard to prove when and where those accessories were installed. Also, the wording is a bit ambiguous and would seem to indicate that while factory parts were utilized it wasn’t necessarily ordered this way. Now, that said, does it matter? In terms of value, sure – obviously, without the hot engine and lots of documentation, this is a tidy E-class with a nice body kit and some wrong-generation wheels. Despite that, I love the look and if anything I wouldn’t mind accepting this less expensive version. Miles are low, condition looks spectacular, its a great color combination and the price will be lower than if it was a full blown AMG. What’s not to like? Other than the rear wheels being a little too wide and improperly offset, not much! 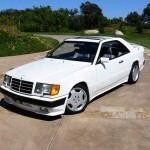 Tagged 1989, 300CE, AMG, M103, Mercedes Benz, w124. Now if it only had an M117….